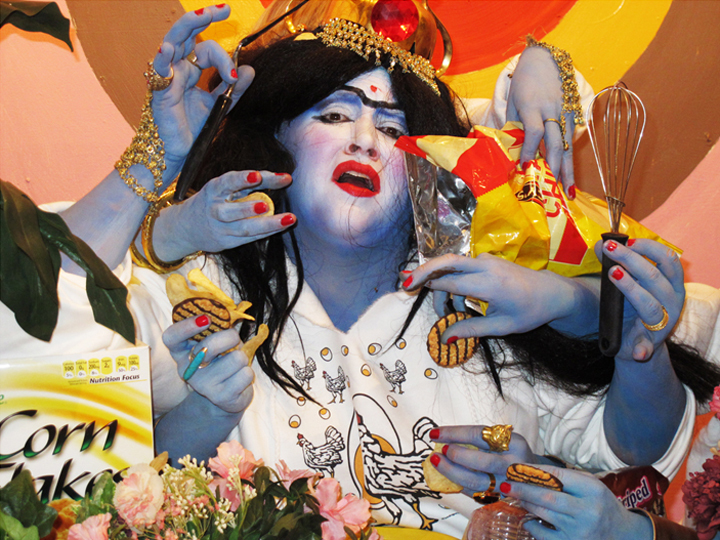 Jaimie Warren is performance artist/ photographer working in Brooklyn, New York. 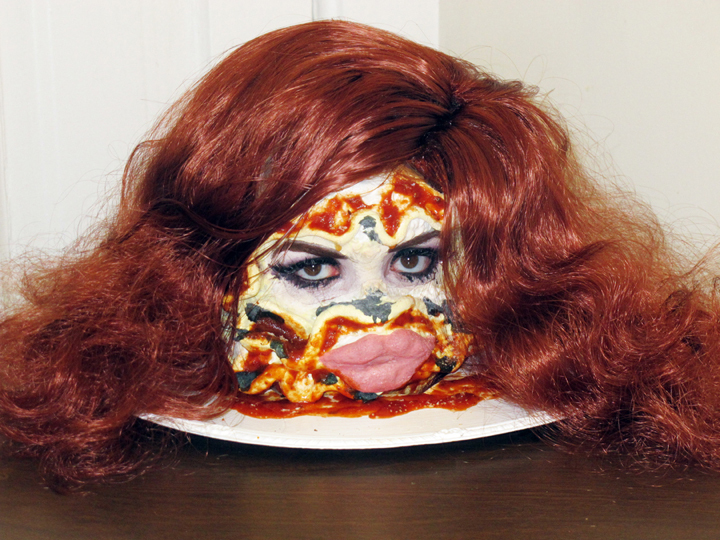 Her personal work’s narratives pull from pop culture iconography, Internet memes, and drag culture. Warren has had solo shows at the Hole, Higher Picture, and American Medium. She is also co-director of Whoop Dee Doo, a traveling not-for-profit art project that engages and encourages youth and local community organizations to let their hair down and get little messy. Through acting in fantastical performance and creating abject imaginative landscapes, Whoop Dee Doo creates all encompassing environments, which bring people of all backgrounds and ages together in play. Self-portrait as Anne Burrell/ Self-portrait as Bloomin Onion in Anne Burrell Totally Looks Like an Outback Steakhouse Bloomin' Onion by unknown.